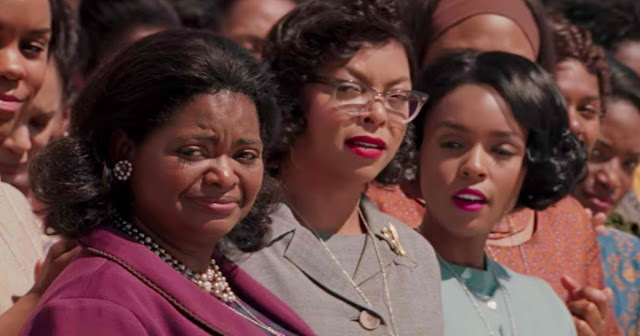 "Hidden Figures" may have been a thing of the past and perhaps one of the most underrated movies this month, but seriously, this movie says a lot more than what you believed in "before the man stepped on the moon". The film tackles different taboo issues of society during the 1960's America but still very significant for today's political turmoils, educational opportunities, equal rights, women empowerment, and indiscriminate racism. We like how the movie centered its strength on discussing equal rights opportunities and racism at the same time for both colored and white people during the 1960's America, while spicing up a space program on the side that will change history during the cold war. We also like how the movie ends and how each character in the film has serious issues on their own. "Hidden Figures" not just hit timely issues, but the movie also tackles how dreaming the impossible and focusing on that dream can also takes us to the moon and perhaps even the stars! To sum it all, Hidden Figures" is not your ordinary science-related and facts-based, true-to-life story, it is one of those smorgasbord films, which were not chaotic and that offer a lot, has depth and discusses not only the tip of the iceberg, but also what's underneath. Overall, we enjoyed watching the film while refreshing our minds with all the science concepts, societal issues, and concerns that are "hidden" in our minds, and only us can figure them out. Whatever that means to you. We give "Hidden Figures" a 10/10 movie experience for everything that were said. "Hidden Figures" is now showing in Philippine cinemas!